Nvidia's varied range of GPU developer tools have been spread out into specialized kits, but that's not the case any more. The company has announced the Nvidia SDK unified toolkit, which brings together its game development, supercomputing, virtual reality, automotive and drone and robot development tools into one package. The toolkit brings together essential tools and libraries necessary for GPU development, Jen-Hsun Huang, CEO of Nvidia, said during a keynote at the company's GPU Technology Conference in San Jose, California. 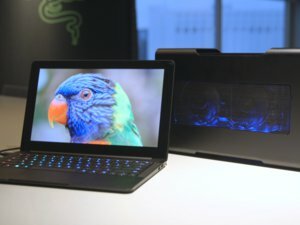 The toolkit is tuned for Nvidia's latest Pascal GPU architecture, which the company is expected to detail at the show. Pascal contains many technological improvements that could trigger changes in the way applications are written for GPUs. Technologies like virtual reality and artificial intelligence are becoming more prominent in computing, and the toolkit provides improvements for developers focusing on those areas, the company said. 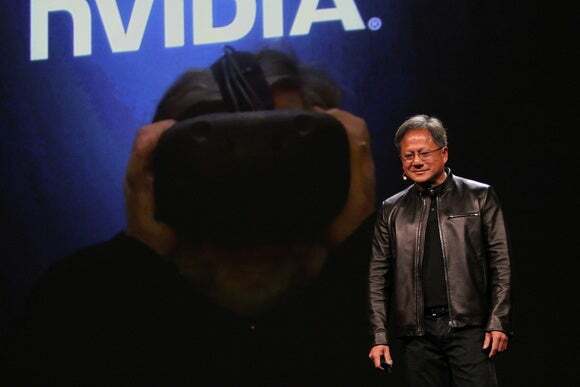 Virtual reality is a big area of focus for Nvidia, which has its GPUs in PCs used to drive VR headsets like Oculus Rift. Nvidia is also investing in the development of self-driving cars, and the company is developing computing models to allow autonomous vehicles to identify objects, signs, signals, and highway conditions. The Nvidia toolkit will contain a wide range of libraries and algorithms that can be cross-referenced in the development of products. For example, game development tools could be used along with visualization applications like scientific modeling or weather simulation. Similarly, game developers will be able to reference scientific algorithms. That could help improve the gaming experience. Many supercomputing applications are written for Nvidia's GPUs using the CUDA parallel programming framework. The company will release CUDA 8 with Pascal support in June. Programs written with CUDA -- which is proprietary -- are broken down in parallel over multiple CPU and GPU computing cores for faster execution. CUDA competitors include OpenCL and Vulkan. The underlying technology of CUDA is CUDNN, which provides the underlying libraries and algorithms for deep-learning capabilities with GPU-accelerated tools. A new CUDNN will be released with the toolkit. In other improvements, game developers will be able to provide a more photorealistic playing experience with more GameWorks libraries in the new Nvidia toolkit. For developers writing applications for the Jetson TX1 embedded system developer board, the Jetpack in the Nvidia SDK will include improvements to recognize images much quicker. That should help drones and robots perceive images at a much faster rate. Separately, the company also announced Iray VR for the addition of more photorealistic images in virtual reality worlds. The Nvidia SDK toolkit already has Iray, but the company didn't say if Iray VR will be part of the toolkit.